Oh, man. I’ve been on a Cook’s Country bender lately, making delicious recipe after delicious recipe. That includes this take on an old-school throwback that Adam had as a kid all the time and which I’d never heard of. His mom made whole baked apples stuffed with dates (and no pastry), and this recipe mentions a sort of 1950s dessert that every good housewife could make–again, with whole apples. These dumplings were amazing, but I made far too many of them. 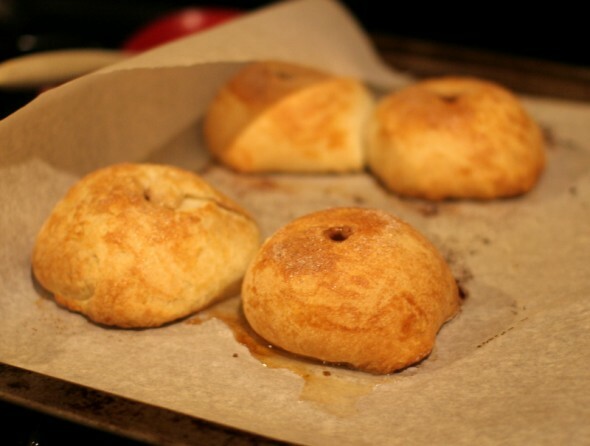 The original recipe makes 8 half-apple dumplings, and I halved it for dessert one night (the other half of the dough is in the freezer for another time). But I guess I didn’t really understand how HUGE each of these dumplings were, even with half an apple, so 2 each was just out of hand. They were so delicious that we kept trying to make a dent in our 2nd helping, but it was no use. We were defeated by their amazingness. Next time I will just make 2…or invite more people over. 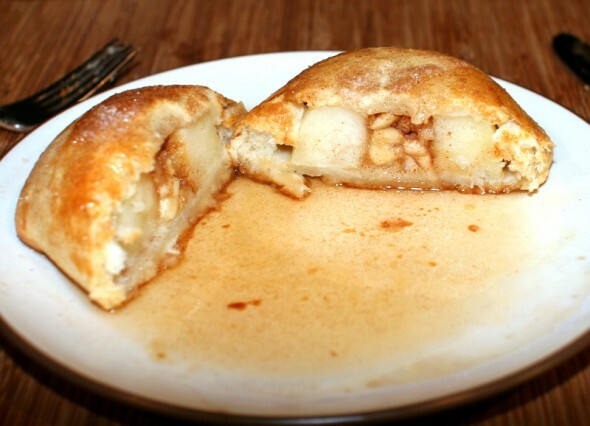 The original recipe below uses raisins in the filling, but I’m not such a fan. I just diced up another quarter apple and replaced the raisins with that. Why not? Process flour, sugar, baking powder, and salt in food processor until combined. Scatter butter and shortening over flour mixture and pulse until mixture resembles wet sand. Transfer to bowl. Stir in buttermilk until dough forms. Turn out onto lightly floured surface and knead briefly until dough is cohesive. Press dough into 8- by 4-inch rectangle. Cut in half, wrap each half tightly in plastic, and refrigerate until firm, about 1 hour. Adjust oven rack to middle position and heat oven to 425 degrees. Combine sugar and cinnamon in small bowl. 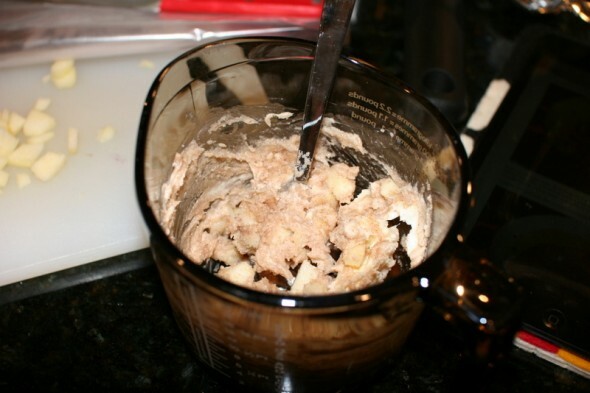 In second bowl, combine butter, raisins (or diced apples! ), and 3 tablespoons cinnamon sugar mixture. 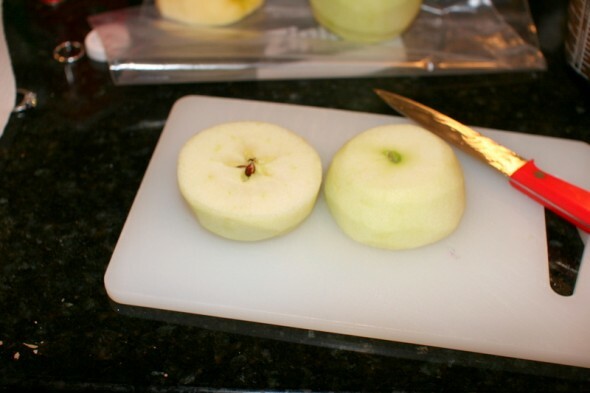 Peel apples and halve through equator. 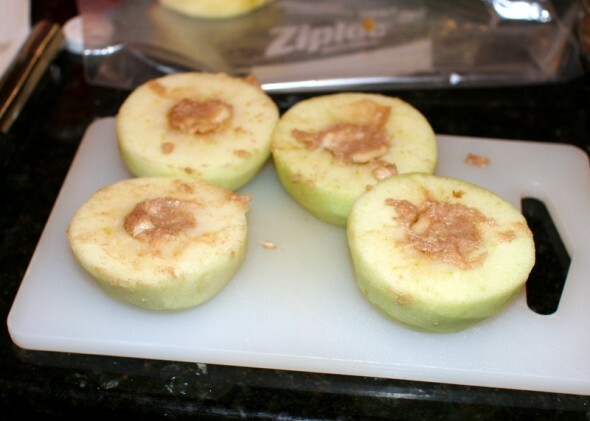 Remove core and pack butter mixture into each apple half. 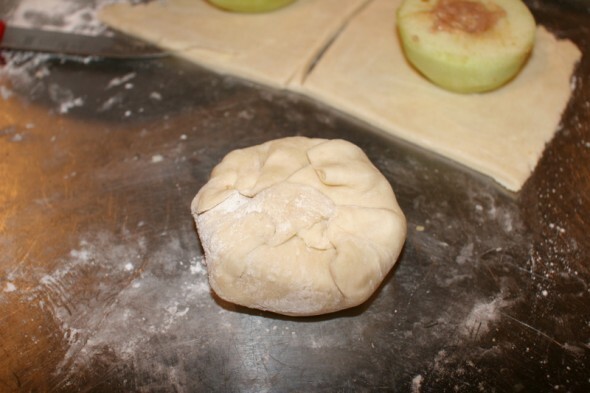 On lightly floured surface, roll each dough half into 12-inch square. Cut each 12-inch square into four 6-inch squares. 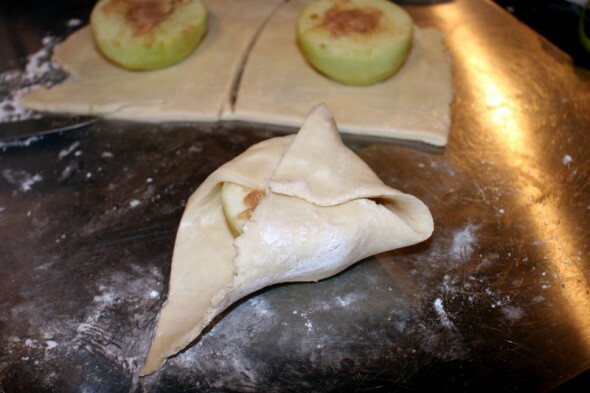 Working one at a time, lightly brush edges of dough square with egg white and place apple, cut-side up, in center of each square. Gather dough one corner at a time on top of apple, crimping edges to seal. Using paring knife, cut vent hole in top of each dumpling. Line rimmed baking sheet with parchment paper. 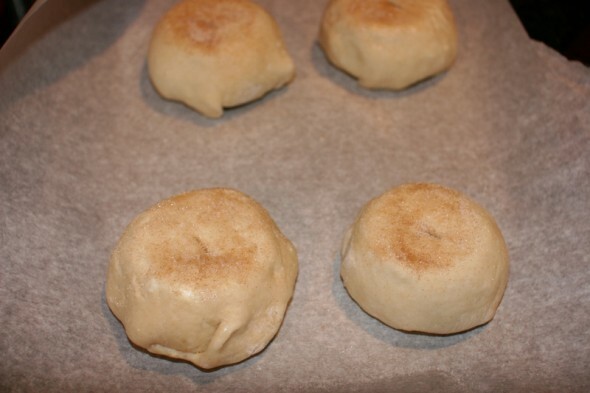 Arrange dumplings on prepared baking sheet, brush tops with egg white, and sprinkle with remaining cinnamon sugar. 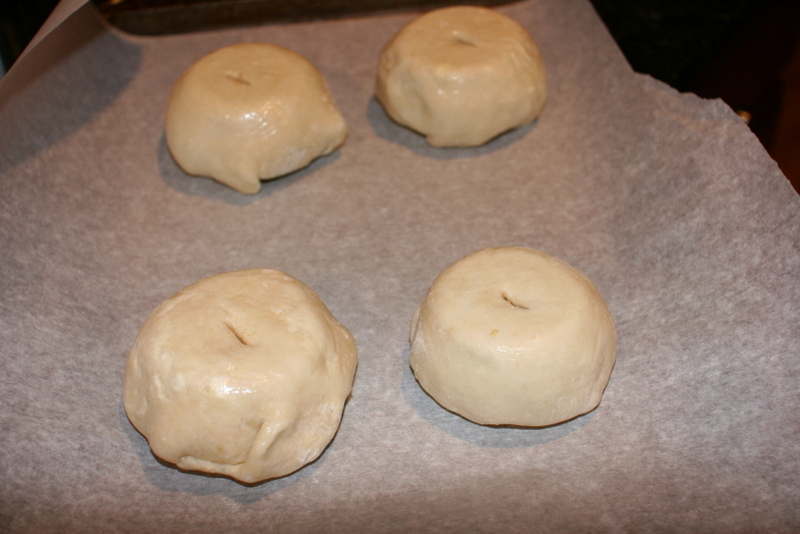 Bake until dough is golden brown and juices are bubbling, 20 to 25 minutes. Cool on baking sheet 10 minutes. Meanwhile, make the Cider Sauce. 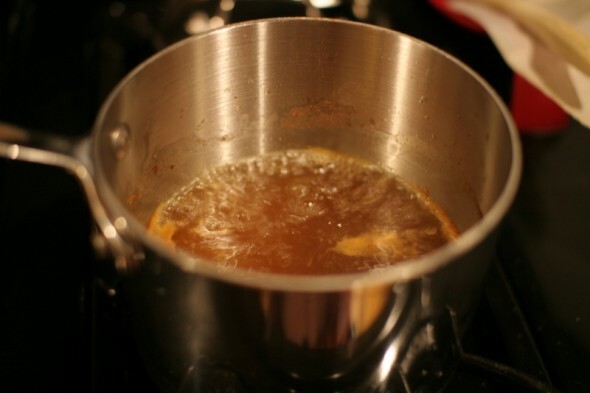 Bring cider, water, sugar, and cinnamon to simmer in saucepan and cook over medium-high heat until thickened and reduced to 1½ cups, about 15 minutes. Off heat, whisk in butter and lemon juice. Drizzle over dumplings to serve.